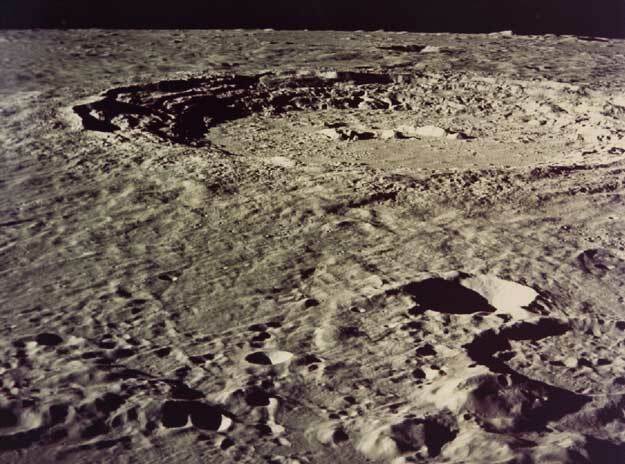 Explanation: One of the more prominent craters on the Moon is named Copernicus. Copernicus is a large young crater visible with binoculars slightly northwest of the center of the Moon's Earth-facing hemisphere. Copernicus is distinguished by its size and by the many bright rays pointing out from it. Although Copernicus is relatively young for a lunar crater, it was formed nearly a billion years ago by a colossal impact. The center of Copernicus is about 93 kilometers across. The above picture was taken in 1972 by the last human mission to the moon: Apollo 17. The prospects for a return have been boosted recently with increased evidence of ice deposits near the lunar poles.